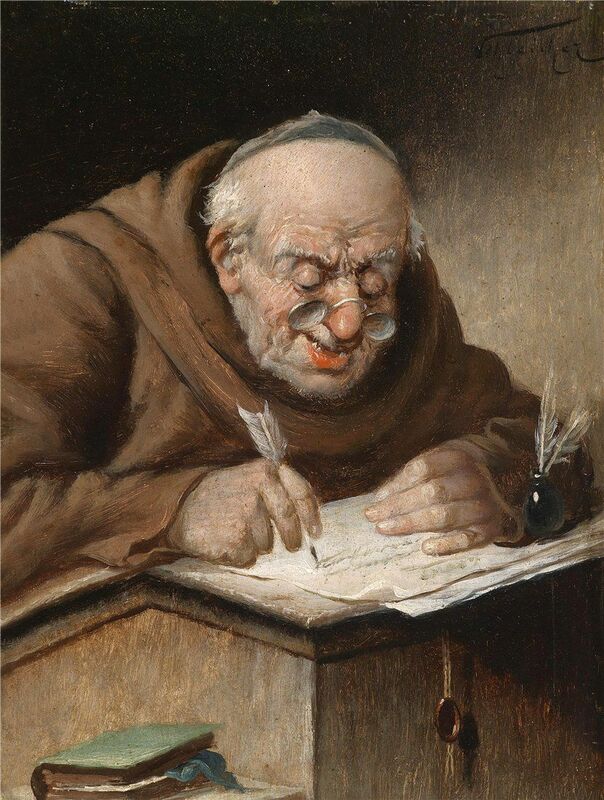 The place to shamelessly promote your writing, hide from writer's block and keep yourself accountable as a monk writer. 400-500 words of character study yesterday. Need to get a sense of each of these characters as separate entities, something that I think is maybe not my strongest suit. Here's my 'Big Three' that I'm working on right now, but more specifically working on 'Noir' the most, since it seemed to get the most interest at Fancon (which is to say, three people). Unfortunately I've been sidetracked by a whole lot of real-life family junk and trying to stay on top of my serials, so I haven't managed much in ANY of those for about a month. Trying to get into a new schedule that includes time for fitness and writing, and so posting here just to give me more ways to remind myself and compete! Woot I totally need this. Someone yell at me to do my 30min of writing for today plz. I have a lot of inertia a4ound writing... in that if I start writing I can write a lot but then I have a hard time starting. Plus I prefer to hand write rough drafts but I am not allowed to hand write too much anymore cuz I dislocate my scaphoid... bellow at me to quit making excuses and get used to typing please? You know what works for me??? Correspondence. I don't picture myself writing at first but telling a friend something, like a e-mail... but longer. It helps me get started. I'm the same way. I put off writing more than anything else. I need to START... and thankfully I've started for tonight! Catch me! 633 words so far! Did you finally got that 30 mins of writing done? 300 today. Bout to get into it. Welp. I was lazy today and didn't get my lectures in like I meant to. Shame on me. I started writing today, too. Didn't count the words, but I have three pages to show off. I should write at least eight pages a week, so that's a nice start. I am still behind on my writing. I have a some stuff that I needs to be moved from my head to my keyboard but there seems to be a disconnect somewhere in between. Is it a time thing? Not really. It is more of a, I should be writing instead of relaxing thing. Maybe it is a time thing. I notice that all the hours at work and then the time working out, there isn't much left. It's 20 minutes to midnight now and I am first getting time to stop in here. I couldn't go to sleep without feeling guilty so 100 words or so for a new blog post are going to finish out the day. Hey, no guilt from me, man. I'm totally there with you. I don't even eat over my lunch break anymore - I write and then work the rest of the afternoon snacking on my lunch. Time just isn't something we have a lot of anymore. Maybe someday we'll find a way to take it back, but until then, you gotta catch as you can and hope it works. Hey. I've been quite active this week. I just finished a 1400-words new blog article but other than that, it's mostly a couple of journaling every night before bed. What about you??? Also, have you read the website Now Novel?? I think it has plenty of resources we can use. I didn't write any yesterday as I had to spend some time with the doctor. I basically got good news about my heart health; the tests that we used, however, were very in-depth and included things like genetic testing and ways to eat that would help my heart further. I spent my lunch break redoing my macros with the new information and figuring out what that would look like. Good times, man. Anyway, I have no excuses today. Gotta get it done. I did my writing yesterday! This character, though, that I'm writing. She doesn't stick to script very well. But that's what makes her interesting, I think. Thing is, I'm getting to a point where I definitely need to take in another lecture, 'cuz I need to do some worldbuilding. Can we post various chunks on here, if anyone cares to read or offer feedback? I'd like to see what y'all are up to. I'm writing my paper about German Syntax in German. So I'm not sure, how much sense that would make. I got in a couple hundred words tonight on a blog post. I notice that not writing for so long has had a negative impact on my creativity and the smoothness of my words. I really need to step it up.